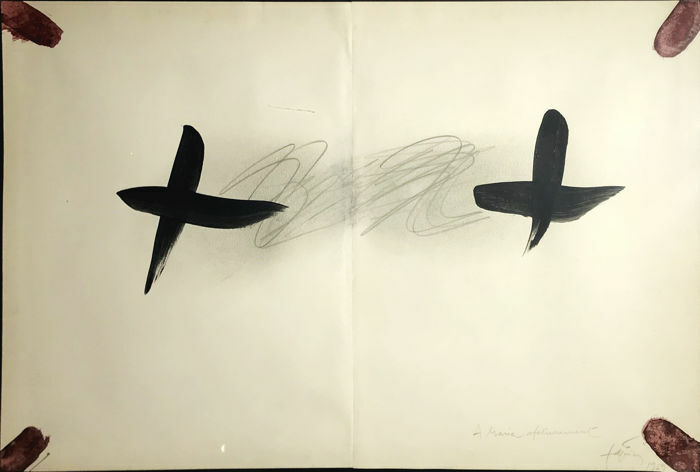 Fantastic work of Antoni Tapies made with ink, oil, pencil and frottage. 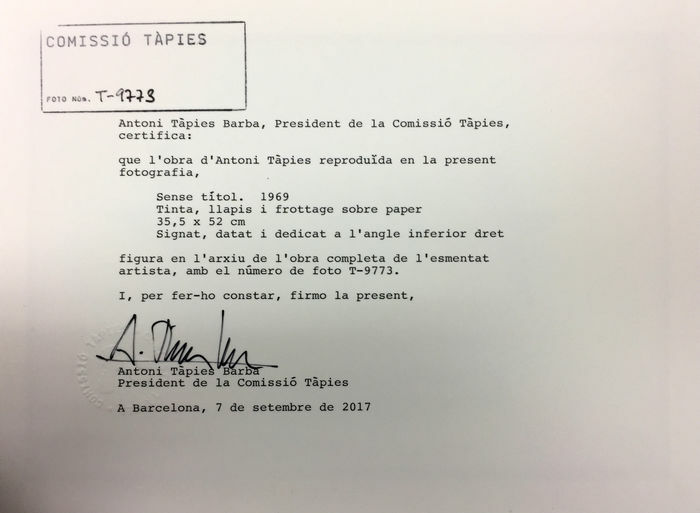 Attached certificate issued by the Fundación Tapies of Barcelona. The work is registered in the file of the artist's complete work, with the photo number T-9773. 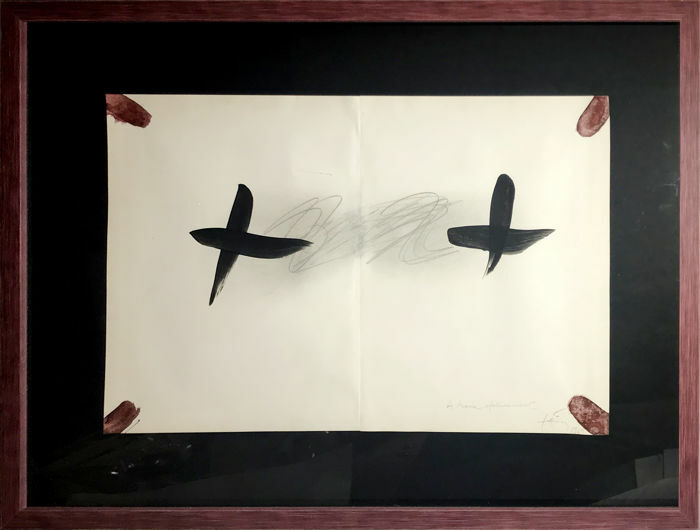 The cross is the symbol that has always been present throughout the Tàpies’ work, this work in particular formed by two large black crosses and a great symbolism. 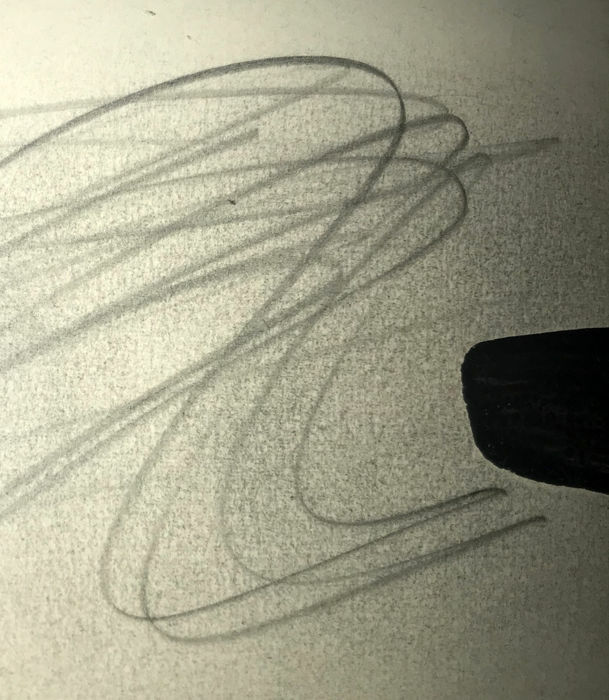 They are two lines marked with force. It is a challenging presence: it marks the limit of human knowledge against nature and spirit. 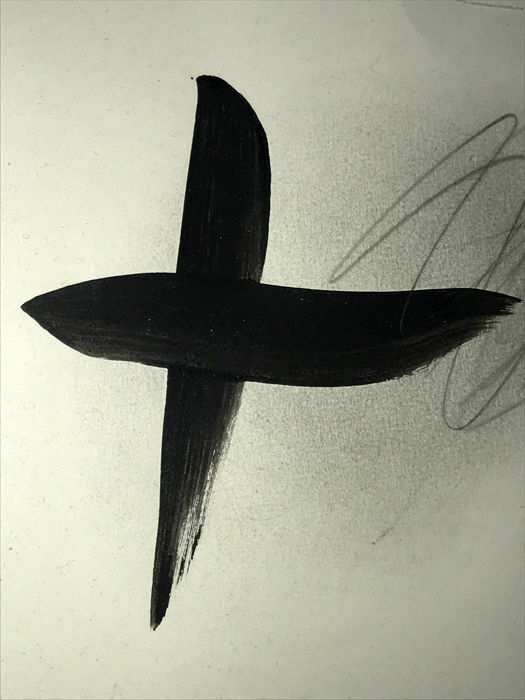 The cross for Tàpies is the enigma. He had said that his work, if it was good for anything, was to meditate, to think about our lives. The cross marks the space and marks the time. Absolutely good seller, highly recommended. Very good comunication about the shipping. 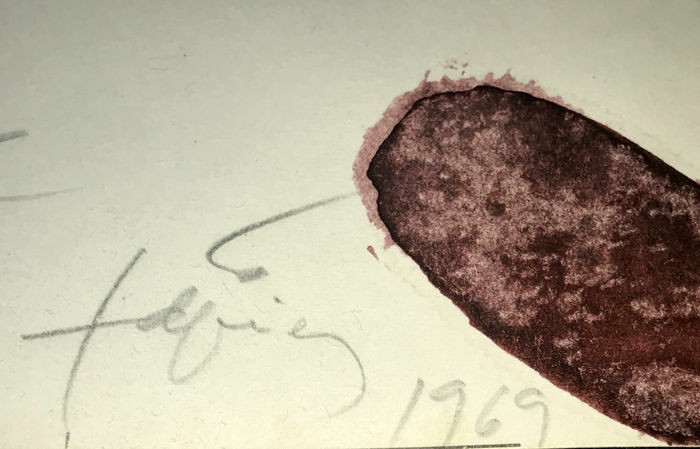 I hope to make future auctions with this seller. 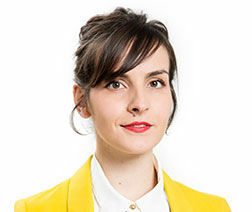 Dear Aurélie, I am very sorry that the glass and frame have arrived broken. We have already changed the courier company and we hope it does not happen again. We can not afford to work with shipping companies that are not careful about our products. I hope you can reconsider our assessment and we appreciate your confidence.